Customer reviews are among the first things people see when they search up your business on Google or Google Maps. It has also been shown that positive reviews provide a greater boost to conversion rates than other local SEO efforts. Let’s say I was craving Mexican for dinner in downtown Calgary. A quick Google search shows me a list of restaurants in the area. I can automatically see star ratings of local restaurants displayed in the accompanying map. If I choose to click on the place pin of the restaurant, I can also see summaries of the latest reviews shown alongside all the essential information, such as the business’s location, hours of operation, phone number and website. If I was unfamiliar with the area, this is all the information I would need. 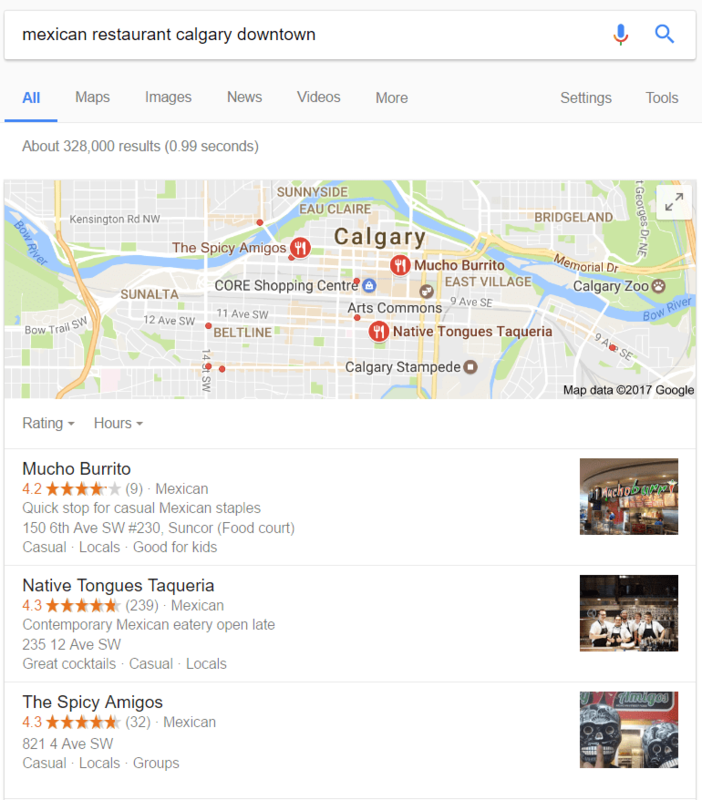 If the business is open at the time of my search, how close the location is, and features more positive ratings and reviews than other comparable businesses, it comes out as the winner. For small business competing against similar establishments , Google reviews can often be the crucial tiebreaker. 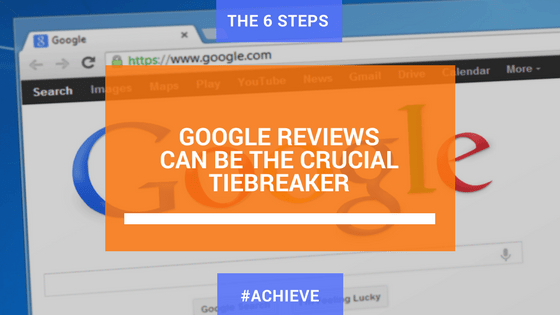 To help level the playing field, here’s how to get Google reviews and ensure they are working to your advantage. To verify your business on Google, your business needs a Google+ page. If there is already one setup, you can claim this listing on Google. The search engine favors verified businesses, so take time to confirm the information Google by postcard or phone. Once your customers leave reviews, make sure their efforts are rewarded . Monitor all reviews and respond to every one of them—especially the negative ones. Apart from a complete absence of reviews, there is nothing worse for your business’s than negative reviews without a response. Not only does this leave readers without your perspective , it can also come off as lack of caring about what your customers think. With that in mind, learn how to respond to negative reviews in a way that leaves your customers satisfied. You may not be able to placate every disgruntled customer, but you should make the effort to show that feedback is important to you, and that customers have a say in how your business is run. Online reviews are one of the best direct channels for customer feedback. Therefore, it’s important to make a point of telling your customers that their opinion is a huge contribution to the way you do business. Ask your customers for feedback throughout their journey with your brand, and encourage them to share their experience . Don’t be afraid to be straightforward with your intentions—use the information you’ve just learned about the importance of Google reviews to make your point. If you’re a small business trying to take off in a new location, and your customers leave the business happy, they will be eager to help you grow. Your social media-savvy customers likely won’t be opposed to visiting another online property to show appreciation for your business. Once you have verified your Google+ page, let your customers on other social media networks know by sharing the url link. Don’t be shy about reaching out to audiences who are already interacting with your business online—especially those who visit your official site. Include a call-to-action button in a prominent spot on the homepage, and encourage people to share their experience. Just because you have left a sign about Google reviews on your website, don’t neglect to do so inside your brick-and-mortar business. A good place to place a sign encouraging customers to write a Google review is at the point of sale—or, if you run a restaurant, make a note on your menu. You could also offer a small discount to customers who can show proof of having reviewed your business, regardless of the tone. Remember the golden rule of reviews: there are no bad ones, if you take them all as opportunities to grow and improve as a business. Reward customers for giving feedback, and who knows—that gesture can lead to better reviews in the near future.